I thought I was finished. I celebrated being finished, in fact… and then I thought about product quality management and security. How do you know if the product you are looking at contains what is says it does; only a fraction of what it says it has; or way more than it is supposed to have? And even more alarmingly, how do you know it doesn’t contain contaminants that aren’t supposed to be there? 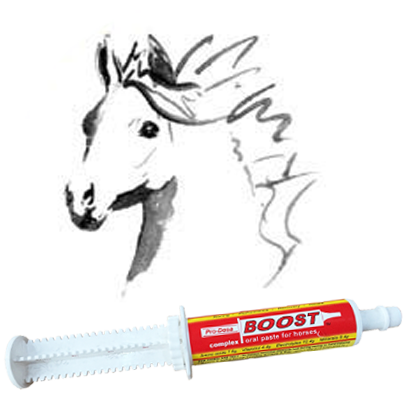 There was an interesting study presented at the AAEP (American Associate of Equine Practitioners) several years ago in which several nutraceuticals were analysed and their actual contents were compared with label claims. Those products were found to contain anywhere between 10 and 200% of the active ingredients that they were supposed to have. Apparently, this is a more wide-spread problem then you would think/hope. 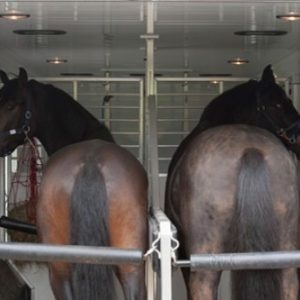 I posted a link to The Horse magazine article written about that study on our Facebook page a couple of years ago, and I think it’s well worth a read. Read it here. To bring that home for you, many people will have heard of the tragic, fatal cases of selenium toxicity that occurred a few years ago in a group of polo ponies fed a feed that was made with far too much selenium. The manufacturer had simply made an error in calculations and had put a decimal in the wrong place, resulting in 10 or 100 times the selenium being added to a batch of feed. In the racing industry at the moment, the trace-element, cobalt, required for health in small amounts, has been in the news lately. Excessive levels found in urine constitute a positive test, and several cobalt positives have recently been or are currently being investigated by racing authorities. In some of the cases, injectable products were found to be at fault, but in one case, a powdered feed supplement which contained cobalt levels far in excess of label claims has been implicated. 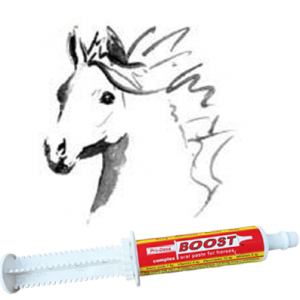 We have done a cobalt clearance study that you might want to read, and we test, both, our raw ingredients and our finished product for cobalt to ensure that the exact dose listed on the label, not more or less, is what is in BOOST. Almost everyone in racing will know of someone who has ended up with a caffeine positive as a result of feed contamination, and I believe there was a recent case in European equestrian circles in which a feed, contaminated with poppy seeds, resulted in a positive test and the disqualification of a prominent horse and competitor. So, how do you know if a product is manufactured safely and meets label claims? This information isn’t generally on the label, but it can be just as important as the label itself. To get it, you either have to know the company management personally and have confidence in their diligence and ethic; you have to actually talk to the manufacturer and ask questions; or you can look at their website to find a statement about quality management or evidence of third party certification of their quality management practices. Tip: Be sure to ask every rep that visits your stable about quality management as they will almost certainly be the most readily available source for this information. That will also be a simple way to separate the wheat from the chaff. Any rep that can’t talk competently about their company’s quality management program probably represents a company that doesn’t have one. Does the manufacturer have a quality management program? GMP or ISO certification provides hard evidence of this. GMP stands for Good Manufacturing Practice, and this is a specific standard required for pharmaceutical producers. It is, however, voluntary for feed supplement manufacturers. A generic version of good manufacturing practice, abbreviated with small “gmp”, is a reference to a quality management system that is not name-brand, government specified and inspected, GMP. It could be the same as GMP or it could be applied to a non-standardised or less complete quality system. Compliance with a name-brand GMP program ensures that quality is built into the product at the time of manufacture and provides assurance that products are consistently manufactured from quality inputs; in a safe and clean environment; by trained and diligent staff; using carefully defined procedures. It is a means of giving consumers confidence that products meet the required quality standards, are safe, and are reliable. A documentation trail that links starting materials, through the various manufacturing processes, to the finished product confirms that dispatched product has been approved through quality control measures. It also ensures that product can be tracked and recalled if any issues arise. ISO9001/22000 refer to slightly different quality management standards that do not relate directly to pharmaceutical production but that cover many of the same principles. They demonstrate a commitment by management to food safety, and they ensure that consideration of potential hazards and critical processes have been considered in the development of the product and production procedures. If a company has either ISO or GMP certification, you can be sure that the supplements they produce will be safe, secure, and generally meet label claims. If a manufacturer lacks certification, it doesn’t mean they aren’t doing a fabulous job of quality management. They might have a written statement about their commitment to quality management or you might have to ask some questions to be sure. If at least some proportion of finished product undergoes analysis for common contaminants, the concentration of active ingredients, and microbial testing, it will likely be safe. If no testing is done, and the company doesn’t talk about product quality, safety, and security, I’d worry. FYI, Pro-Dosa International Ltd. is GMP certified by the Government of New Zealand, Ministry for Primary Industries, Agricultural Compounds and Veterinary Medicines group. Our quality management system has been in place since 2005, and it was originally developed along GMP, ISO22000, and ISO9001 standards. The whole team is very proud of our standards, and we would be happy to tell you all about what we do, if you really want to know. Make sure you read the final installment in this series of blog posts on Reading Feed Labels. This article discusses the requirements in regards to nutrient composition of horse feeds. Part 4 – Feed.